Paul D. MacLean proposed the triune brain to articulate the concept of distinct evolutionary stages in the development of the human brain. The triune concept also outlines the three crucial levels of control systems in the brain. The conflicts between them are at the root of the turmoil within your mind. With combinatorial coding, nature developed a basic building block for its intelligences. It coded a primary neural network, which could respond intelligently to a plethora of incoming signals. Those networks combined together in vast assemblies to form the control systems of the mind. These systems developed in three stages. The first stage controlled basic animal activity and approximated to the reptilian brain. The second stage mammalian brain added feeling/emotion controls, which triggered experience based behavioral responses. In the third human stage, nature improved the prefrontal regions, which generates behaviors based on purely rational evaluations. 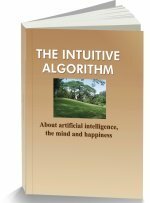 A 2004 Nobel Prize recognizes the primary combinatorial coding engine of the mind - a neural “banyan tree,” which senses neural patterns. Combinatorial codes enable myriad banyan trees to use galactic memories to interact in perception, recognition and motor control systems. These independently intelligent banyan trees are self regulating and cooperative. The homeostasis experiments prove the existence of such independent intelligences. Broadly, the reptilian brain controls primary systems, the mammalian brain manages emotions and the prefrontal regions form the seat of consciousness and represents a rational intelligence. In 2004, a Nobel Prize was awarded for the discovery that the olfactory system recognizes smells by recognizing the firing combinations of smell receptors. The assembly of nerve cells in the olfactory system resemble a banyan tree, whose branches are dendrites and roots, axons. The dendrites perceive neural signals from receptors and sends recognition signals through the axons. Typically, the olfactory tree evaluates air molecules and sends signals, indicating recognition of the smell of an orange. The signals from the olfactory banyan tree are symbols, recognized by other networks in the nervous system. Intuition enables such recognition. The olfactory banyan tree is known to remember millions of smells. The memory of the tree is its memory for symbols representing combinations. The tree can also theoretically store memories of an infinite number of symbols. It can acquire knowledge about new smells by remembering their symbols. So, through remembered symbols, such banyan trees can store inherited knowledge and acquire new knowledge. This ability to learn, remember, recognize, and transmit symbols is used by all the trees (networks) in the nervous system. These trees are massively intelligent systems. They are the primary building blocks, which perform myriad functions in the nervous system. Intuition enables these functional units to coordinate responses, making decisions within milliseconds. This is illustrated in the simple act of walking. During that process, neural networks smoothly orchestrate the movement of 60,000 muscles, inhibiting opposing actions 10,000 times a second. Those intelligent banyan trees enabled nature to develop the triune control systems. The banyan trees are independent. At the same time, combinatorial recognition grants them powerful sensitivity to each other. With millions of dendritic inputs, each functional tree can monitor the myriad dimensions of the mind. Vision can have an impact on pain and despair, on blood pressure. These trees are self regulating, independent and cooperative. Scientific research has confirmed the existence of such autonomous trees. Evidence of their unique independence was gathered by studying the effects on animals of progressively destroying the higher level trees, through live experiments on the "homeostasis" of animals in the survival process. Its massive intelligence enables each banyan tree to maintain a steady state in a changeable environment, even when severed from the whole. Experiments revealed myriad self governing trees, functioning at many descending levels in the neural system. These entities were substantially autonomous and performed diverse functions. In spite of being isolated from the top, the trees below maintained their own constant states within the body, using various sensing, feedback and control systems. As higher levels were included with the spinal cord below the cut off section, more effective controls were retained. In this hierarchy, each tree demands only critical inputs from higher levels. Scientists likened the process to a federal government. At the lowest levels, people managed their affairs by themselves. Higher level decisions were made by the communities, by the state governments and finally, by the central government. This ascending forest of banyan trees developed over millions of years. The earliest organs developed into the reptilian brain, which includes the reticular formation, and the cerebellum. This brain controls the muscles, balance and autonomic functions, like breathing and heartbeat. The reticular formation triggers signals, which make the system conscious. While damage to most other regions of the brain cause only selective defects, serious damage to the reticular formation results in prolonged coma. Processes in the reticular formation induce sleep, raise the level of consciousness and alertness. The reptilian brain is primarily reactive to direct stimuli. This system developed a series of organs, which envelops the reptilian brain in a “girdle.” The Latin word for arc or girdle is "limbus", and this brain is also called the "limbic system". The limbic system contains a ring of interconnected neurons with over a million fibers connecting the thalamus, the hippocampus, the septal areas, the amygdaloid body and the insulae. In 1937 Papez postulated that the functions of central emotion were elaborated and emotional expression supported by this region. Emotions drive the primary control system of the mind. The intuitive decisions of this ring choose the current emotion of the system within milliseconds. Unlike the olfactory tree, which merely deals with odors, the forest of trees in the limbic system evaluate myriad parameters. The insulae receive sensations including sharp pain, burning pain, cool or warm temperature, itching, muscle contraction, muscle burn because of lactic acid, joint movements, soft touch, mechanical stress, tickling, flushing, hunger and thirst! Every one of these sensations trigger feedback controlled responses, including approach and avoidance behaviors. Within the limbic system, nature added myriad sensory evaluations, where programmed response codes drive motor responses. The codes make you slow your steps when your muscles burn; and scratch, when you itch. The amygdalae remember a painful event and trigger fear signals on recognizing the possibility of its future occurrence. In laboratory experiments, rats, which receive a mild footshock in one compartment of an apparatus, learn to avoid the space. Or, a rat learns to swim to a platform to escape drowning, in a water maze. The combinatorial memories in the amygdala remember the sensory signals, which accompany a painful event. On recognizing those signals, the organ triggers fear signals, which initiate avoidance behavior. The amygdalae have special circuits, which retain painful memories over longer periods. Such memories would have faded over time in other regions. When ordinary people are exposed to subliminal images of frightened faces, increased activity occurs in the amygdala. The amygdala is also a banyan tree. When its branches recognize events signifying danger, its roots will trigger fear, or anger signals. These networks trigger emotions, such as love, shame and guilt, which managed behaviors. Scientists discovered the mirror neuron network, contextually positioned in the sensory, motor and emotional regions, which translate the intentions, actions and feelings, including pain, guilt and shame of others into one's own personal subconscious experiences. Internally suffering the pain experiences of others compelled herd members to behave cooperatively in the group. Antisocial behaviors were also remembered and punished by all members of a group. Since the insulae have parallel links to a range of sensations, the social emotions also trigger related sensations. People feel cold with fear, warm with a hug, or burn with jealousy. The cerebral cortex developed in the brains of higher mammals. It is responsible for higher-order thinking skills, reason, speech, and sapience. The prefrontal cortex lies in front of the motor and premotor areas in the cortex. Occupying a far larger percentage of the brain than any other animal, the prefrontal cortex in humans has increased sixfold in size, while the brain has has only tripled over 5 million years of human evolution. Considered the seat of consciousness, this banyan tree receives signals of all significant neural activities. Signals from the sensory cortex enable it to perceive the world. Signals from the association regions enable it to recognize objects and events. Signals from the limbic system enable it to feel emotions. 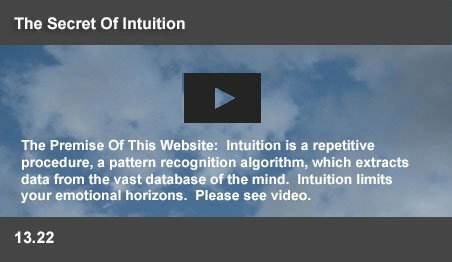 With access to the global wisdom of the mind, it is the real “I,” (RI), which controls the executive attention center, which enables you to focus attention. The role of the prefrontal cortex was highlighted in the case of Phineas Gage. In 1848, an accident damaged his prefrontal cortex. Although Gage retained normal memory, speech and motor skills, his behavior changed. He became irritable, quick-tempered, and impatient. At the most fundamental level, he appeared to lack judgment in his relationships. Subsequent studies on patients with prefrontal injuries confirmed this view. While the patients could verbalize proper social behavior, they lacked judgment in practice. RI performs a rational unemotional evaluation of events and delivers judgment. RI, in its wisdom, may suggest that your action is not right. Those signals could trigger guilt in the limbic system. Linking the activities in both regions, some research has associated emotional behaviors with the prefrontal regions. But, RI did not trigger the guilt. RI delivers a rational unemotional view, a state of mind reported to be experienced by the practitioners of meditation in many cultures.